An abbreviation for Quality Kayaks Limited, Q-Kayaks is a name synonymous with top quality, well designed and long lasting kayaks. Located in Ashhurst, New Zealand, just a stone's throw from the picturesque Manawatu Gorge, Q-Kayaks is now the largest kayak manufacturer in the Southern Hemisphere and its kayaks are used around the globe. 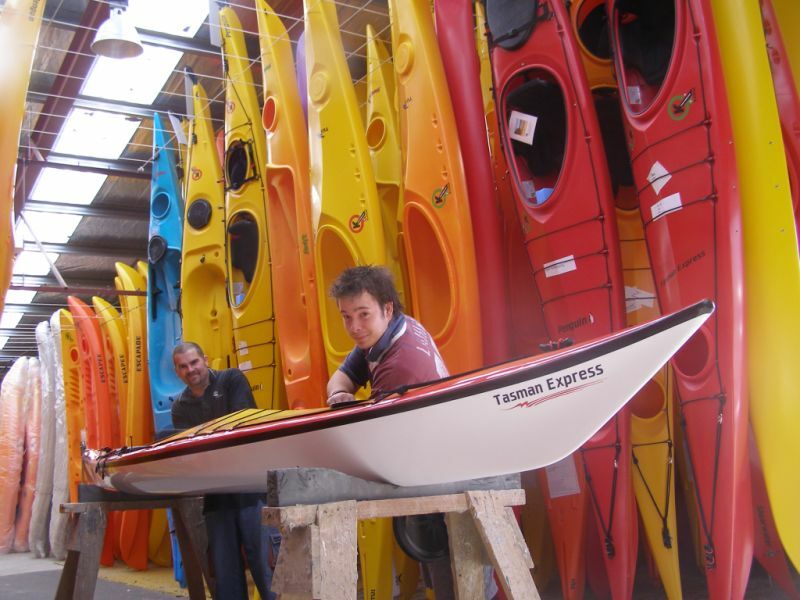 Q-Kayaks specialised in producing specialised kayaks for recreation, sea, white-water and competition. As the company produced only kayaks, its team is vastly experienced and it has the latest, purpose-built equipment; very precise control of wall thickness and strength can be achieved in the moulding of every craft. Company Director Max Grant, a former national representative in both slalom and flat-water kayaking, has designed Q-Kayaks' entire product range, combining his vast knowledge of kayaking and typical kayaking conditions with his own international experience. Many of the team at Q-Kayaks are actively involved in the sport of kayaking and assist with the kayak tours and instruction courses run by Q-Kayaks. The company was established in the 1970s as a fibre-glassing factory, which specialised in producing top quality competition kayaks for New Zealand's top slalom and flat-water competitors. In the early 1980s, Q-Kayaks expanded its factory to include the machinery needed to produce the more durable polyethylene "plastic fantastic" kayak. In 2002, Q-Kayaks expanded again, installing a third kiln, which enabled it to virtually double production.